Congratulations Alan Greenspan! The former fed chair, who people are hoping will die soon, has won the Dynamite Prize in Economics, which is basically what the Razzie Awards are to the Oscars. 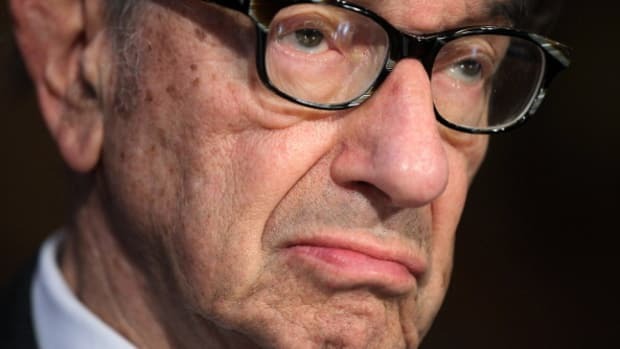 Greenspan was awarded the honor as the economist most responsible for blowing up the global economy. But not economists are bad, some are even "less delusional" and foresaw the crisis. Hence, the RWER Blog is calling for nominations for the inaugural Revere Award in Economics, to "be awarded to the 3 economists who saw the GFC coming, and whose work is most likely to prevent another GFC in the future." You know that Da Roub will be voting on that one.